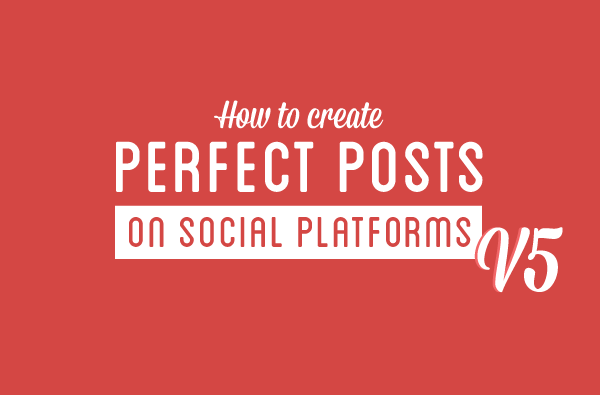 While there’s never going to be a “one size fits all” approach for all brands (or, indeed, all social networks), there’s absolutely a perfect post for you, your brand and your audience. And while your own mileage may vary, by following certain guidelines and applying tried-and-tested formulas you can dramatically improve the engagement rates of your social media updates, boosting ROI and driving traffic. This updated infographic from those very nice people at My Clever Agency provides an absolute wealth of information on how to create optimum posts for your social media platforms, and now includes LinkedIn, blogs, YouTube, Facebook, Twitter, Pinterest, Google+, Instagram, Vine and Tumblr.